May 13, 2013 By Allyson 6 Comments This post may contain affiliate links. Read my disclosure policy. 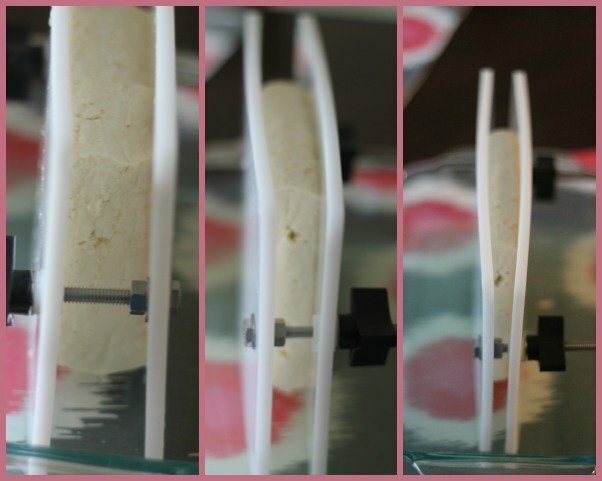 You may remember that I posted an Easy Baked Tofu recipe a few months ago, and at that time I talked about how I had no idea what a tofu press was. I usually just ‘press’ tofu between books and paper towels. Does that method work? Sure. However, it produces a lot of wasted paper towels, and sometimes I notice the tofu is still a little….wet. I think part of the problem people have when cooking tofu, and the outcome of it, is the texture. But, if you get all the water out of the tofu, like you are supposed to do, then it tastes completely different than water logged soggy tofu. I have several friends who have told me they ‘hate’ tofu, but once trying the Easy Baked Tofu recipe their minds have changed (how awesome is that?!)! Anyway, shortly after I posted that tofu recipe, I was contacted by a man named Ben. 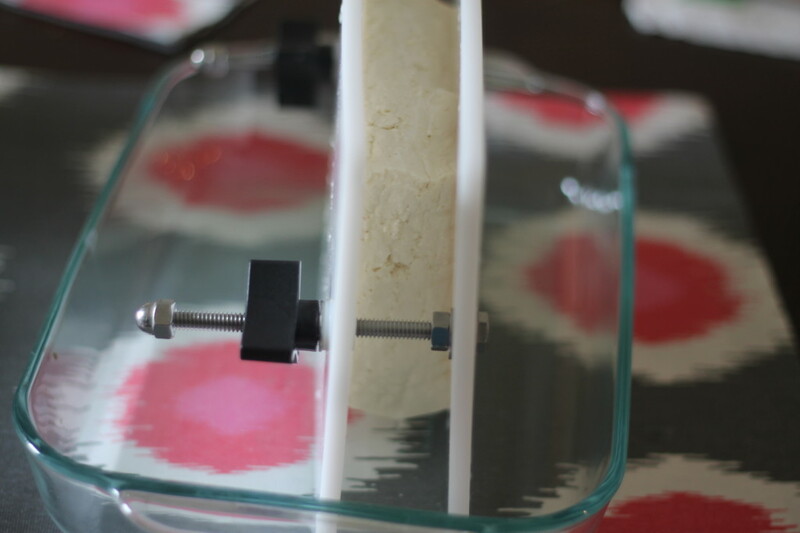 Ben is the inventor of the EZ Tofu Press, which is a kitchen gadget that helps you press the tofu. He was nice enough to offer me one to try out, and it even turned out we live in the same city (crazy!). I was excited to give it a try, and I was even more excited with the results. It was really simple to use, and at the end of everything I only had a dirty dish, instead of 100 soaked paper towels! Score! Can be used with any size tofu brick, both small and large portions can be dried. Provides better flavor absorption and texture and thus better tasting tofu. 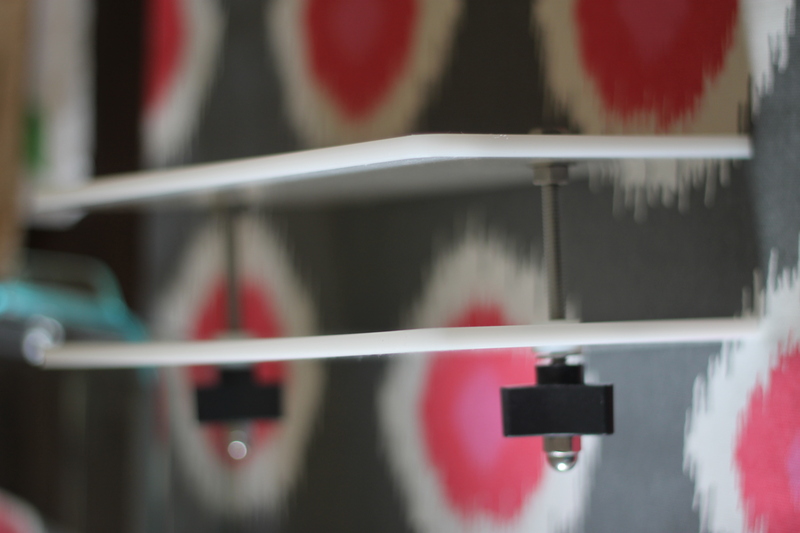 Better control of the time in which your tofu is press dried. Takes 5-15 minutes. Less costly than other brands, best value on the market. Easy to clean, place in the top rack of the dishwasher or just use hot soapy water. Makes Tofu cooking quick and easy. Press plates cut with automated CNC milling machine. Comes with handy measurement tool and Instruction manual. EZ Tofu Press is made of USDA approved HDPE, a BPA Free Plastic. All bolts, nuts, and washers are made of stainless steel. 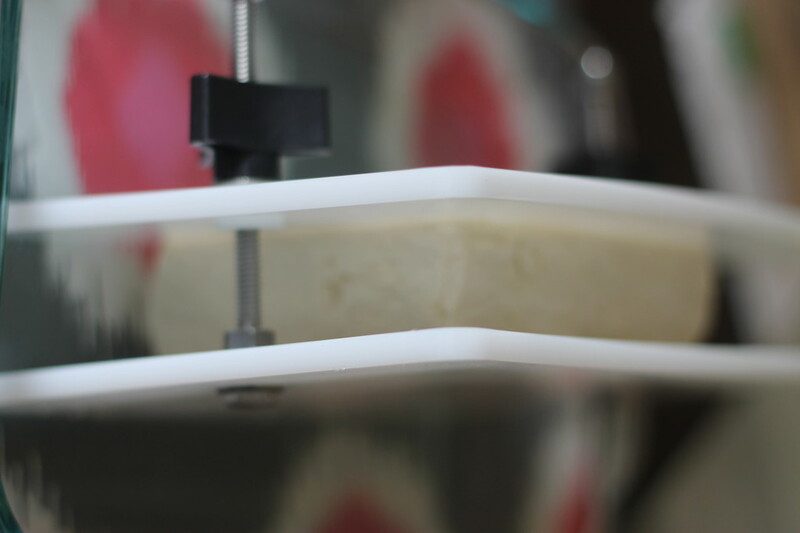 The EZ Tofu Press is dishwasher safe, top rack. Do not use in freezer or microwave. Use Firm and Extra Firm Tofu. Not for silken tofu varieties. 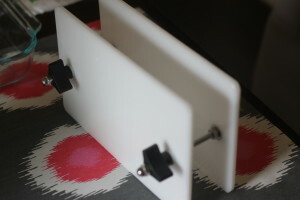 It has little screws and knobs that tighten and the boards on each side. The boards remind me of just a cutting board, and it is also super easy to wash. You just twist them tighter when you want to squeeze to tofu more. 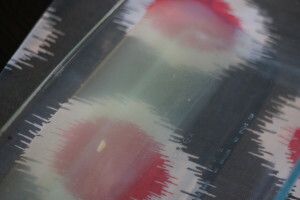 Once you have the tofu in the press, you can tip it on it’s side to let the water drain out. I just put it in a shallow baking dish. 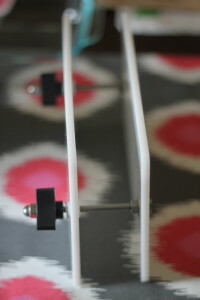 Now, you can adjust the screws every few minutes for a long period of time, or do it in as little as 10-15 minutes. Oh, the press will ONLY work with firm tofu, so unless you want a pile of mushed tofu, go with the firm or extra firm. You see how skinny the tofu gets?!?! That is all the water coming out of the tofu! 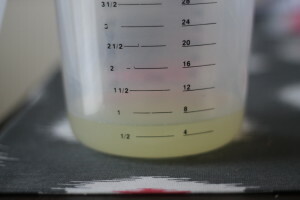 How much you ask….over 1/2 cup of water came out of 1 block!! The tofu was pressed and much more dense than if you would normally just squeeze the water out with paper towels. This gave it a meatier feeling, and different texture overall. Once it is pressed, you can make your favorite marinade and let this tofu soak up all the delicious flavors. It’s also easier to cook it in a pan or wok because it doesn’t just fall apart (because it’s much more dense). I really liked the EZ Tofu Press and would recommend it to anyone who enjoys cooking with tofu. I think it really bring the tofu to a new level! You can buy it directly from it’s website or on Amazon where you can even take advantage of Free Prime Shipping! 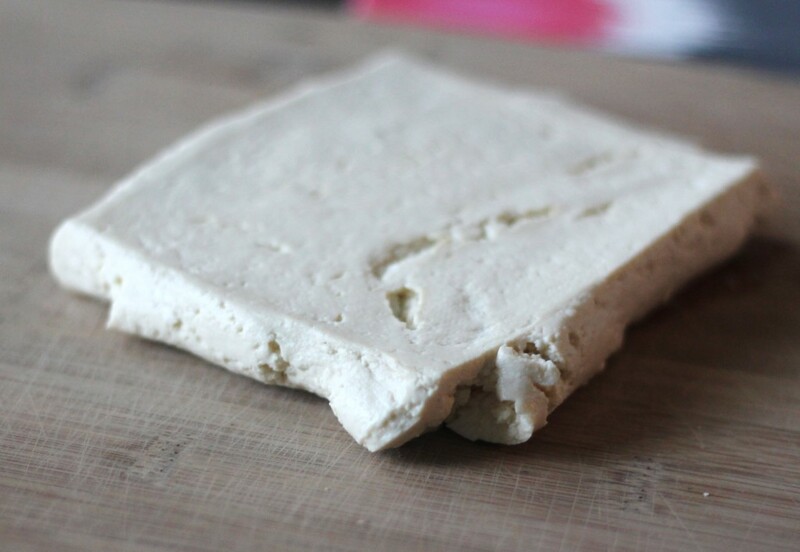 I am going to be posting another great Tofu Recipe later this week that would be great for the EZ Tofu Press. 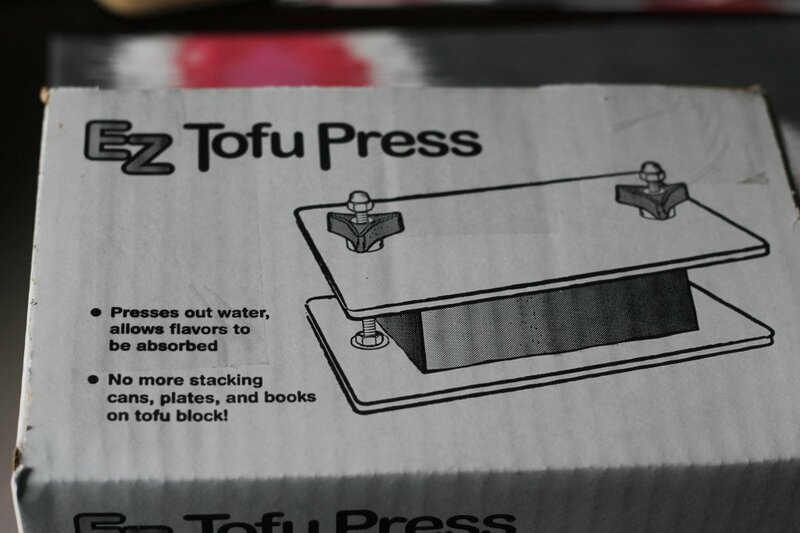 ….and I will be GIVING AWAY a EZ tofu press as well! I’m super excited for the giveaway! I have been wanting a tofu press! It’s so useful! and it really enhanced the texture of the tofu! I use one of these as a back up, it’s ok. I gave in and upgraded to the TofuXpress, I like to keep my tofu in the fridge without fitting a plate underneath it.